Welcome to Myanmar, formerly known as Burma! Arrive at Mandalay Airport to a warm welcome by the tour representative and head to the hotel to check in. Afterward, head out for a tour of the city. 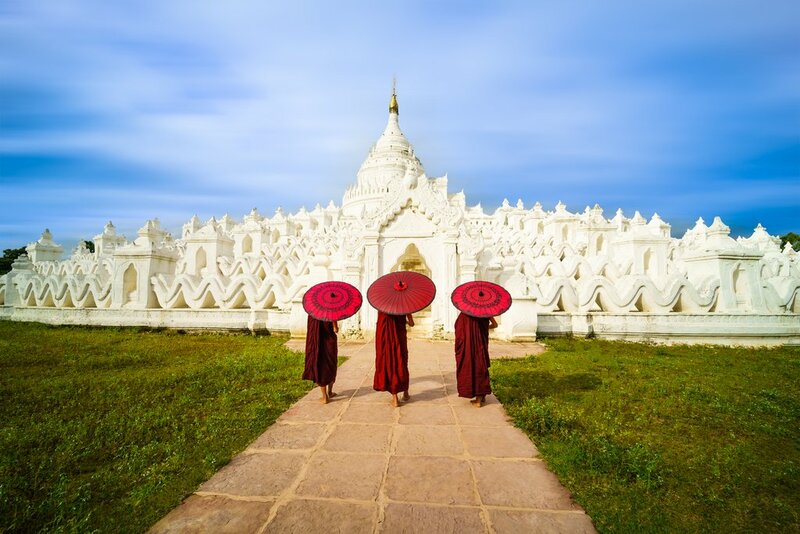 Start with the colorful food and gem markets, then continue to the highly revered Mahamuni Pagoda, famous for its gold leaf hammering workshop. Stop to see Shwenandaw Monastery's exquisite wood carvings, then continue to Kuthodaw Pagoda. The pagoda houses 729 stone slabs with Buddha's teachings written in the ancient Pali language. 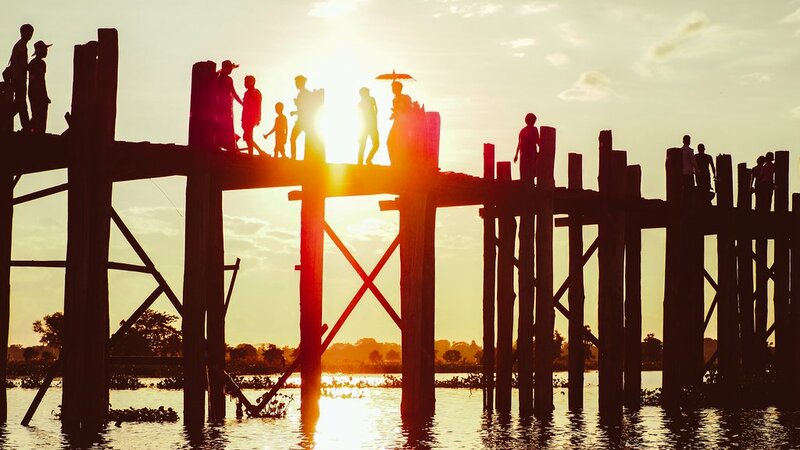 End your day in the ancient capital city of Amarapura with a beautiful sunset and walk across the U Bein Bridge, the longest teakwood bridge in the world. 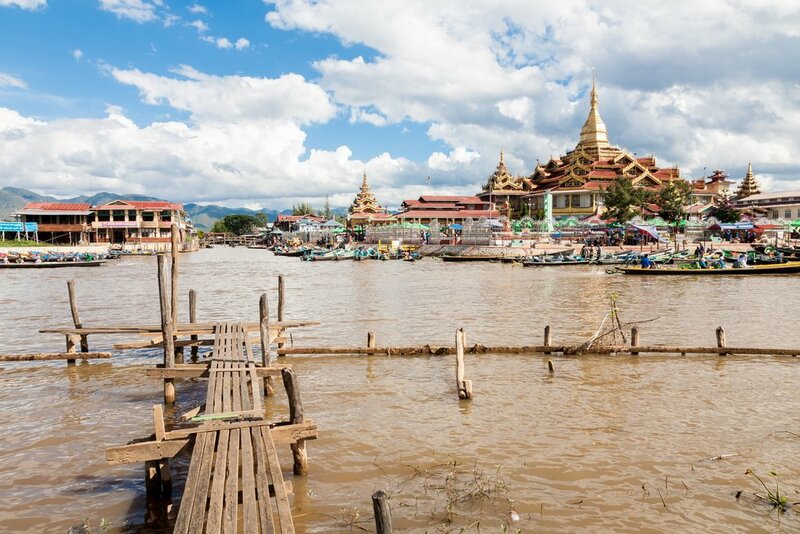 The 0.75-mile (1.2 km) bridge spans Taungthaman Lake and was built around 1850 from wood reclaimed from the former royal palace in Inwa. Start your morning with a short trip upriver to Mingun to see the remains of the world's largest pagoda. Construction of the pagoda halted in 1819 and a 1938 earthquake reduced the massive monument to rubble. Despite the destruction, the remaining base of the pagoda is an impressive sight. Head to nearby Myathein Than Pagoda to see the Mingun Bell, the world's largest hanging intact bell. Return to Mandalay and drive to Bagan. The 3.5-hour drive brings you through some of central Myanmar's most scenic rural regions. 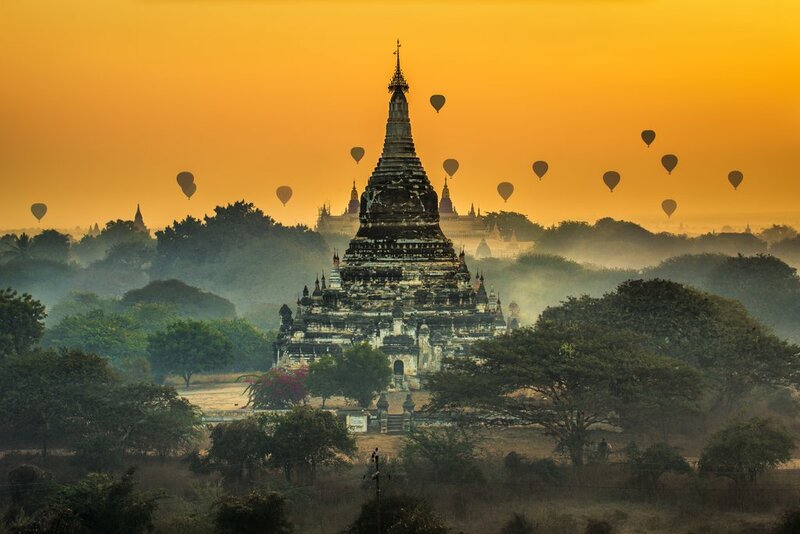 If there's time, head to one of Bagan's top sites to catch a stunning sunset. Spend the day exploring the archaeological sites of Bagan by e-bike. Tour the complex with an expert guide, explore the biggest pagodas, and visit some of the lesser known temples and scattered villages. Start with a visit to the Nyaung U Market and the Shwezigon Pagoda, a prototype which inspired the construction of many subsequent stupas. Visit Wetkyi-in- Gubyaukgyi, a 13th-century cave temple, and the Ananda Pagoda, one of the finest and best-preserved pagodas in Old Bagan. In the evening enjoy Bagan's famous sunset from a hilltop location. Early in the morning head to the Mandalay airport for your flight to Heho. After arriving drive to Pindaya, an area famous for its extensive limestone caves filled with images of Buddha. The scenic drive there takes you through endless agricultural fields, and through the Danu villages of Pwehla and Ji Chanzi. 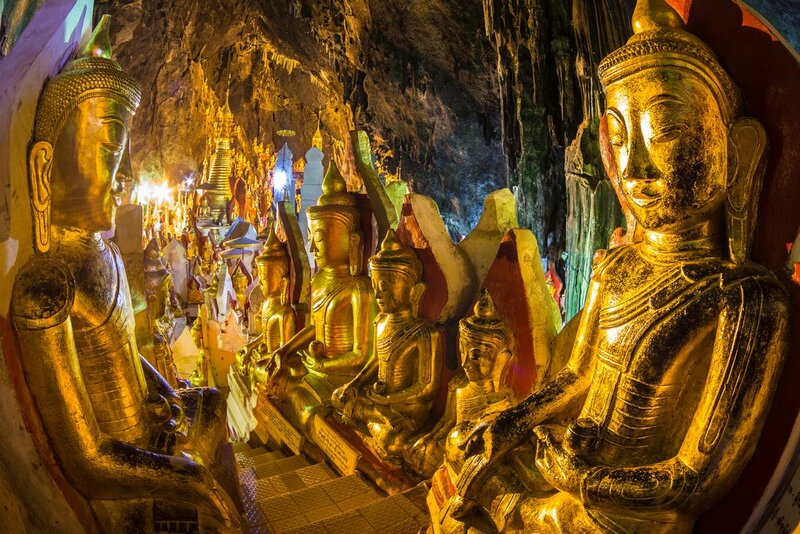 Visit the Pinaday Caves to see the 8,000+ Buddha images, which fill every nook and cranny of the famous caves. 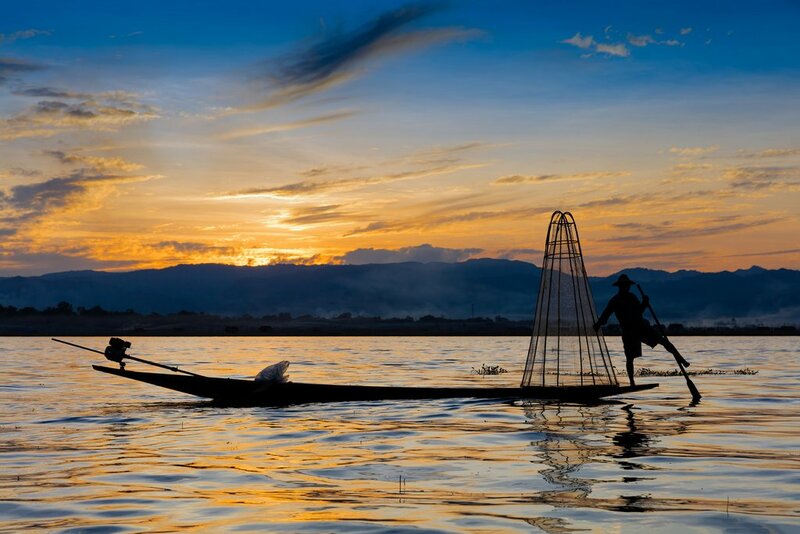 Continue to Inle Lake, arriving in the evening. Your day sightseeing begins aboard a longtailed boat to see Thale Oo village, a traditional agricultural village. Learn about the local agricultural methods, and explore the vibrant culture. Continue to Inn Paw Khone village to tour the lotus and silk weaving facilities, then head to Nanpan to learn about traditional boat making and cheroot (Burmese cigar) production. Afterward, visit Phaung Daw U Pagoda, the area's most revered monastery, to see its five ancient gold-leaf covered Buddha statues. End your day with a tour of Nge Phe Chaung monastery's floating gardens. Travel by boat today to the southern end of the lake toward Sagar Village, an ancient royal capital built in 1479, to see the old monasteries and pagodas. From here continue to Thakong Villages at the far end of Inle Lake. This relaxing 3-hour boat trip gets you away from the crowds and gives you an insider's look to everyday life on the lake. Later visit the Taung Kwe Pagoda to see the white and gold monuments situated on top of limestone outcrops, which jut dramatically from the surrounding plains. 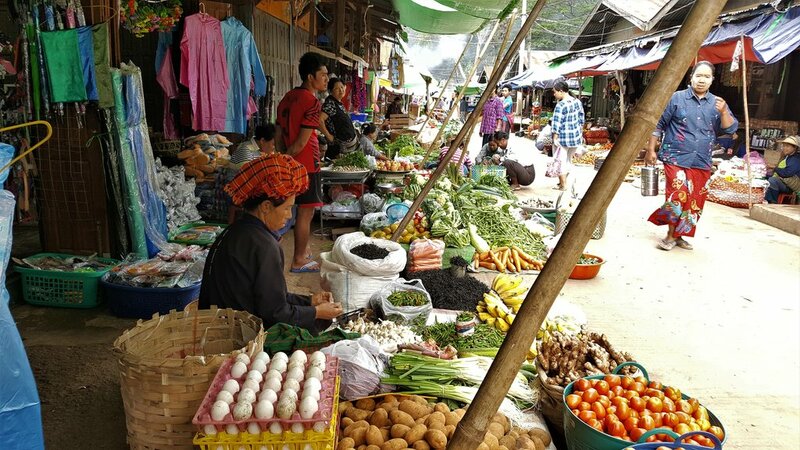 In the morning visit the local market to browse to fresh vegetables before heading into the beautiful and rugged mountains to the south of Loikaw. Reach the Kayan village of Pan Pet, where you will have the option of short or long hikes through the gorgeous countryside. Both of these options give you the opportunity to experience traditional village life and learn about the diverse and vibrant local cultures in this remote region of Myanmar. Continue the tour to one of the local tribal villages, Hta Nee La Lae, where residents live and farm in the traditional ways. Visit the homes of a local musician and weaver to learn about the regional handicraft techniques. In the morning transfer to the airport for a domestic flight to Yangon. You'll be greeted by a tour representative, who will transfer you to the hotel. Start your day with a tour of the city's highlights. See the Reclining Buddha at Chauk Htet Gyi, a popular destination for Buddhist worshipers, then continue to the National Museum to see historical artifacts and art. Afterward, visit the bustling downtown streets to see the remaining British influence on the city. In the afternoon take a walk down Pansodan Street to see the colonial-era buildings. In the evening head to bustling Bogoyoke Aun San Market to peruse and purchase gifts and souvenirs. The cobblestone streets of the 20th-century bazaar are always packed with tourists and locals doing their shopping. 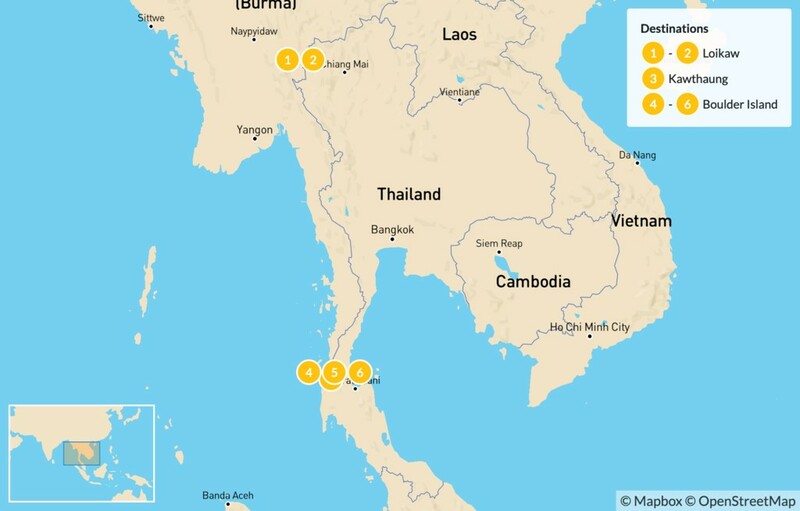 Browse through antiques, Burmese handicrafts and jewelry shops, and art galleries. 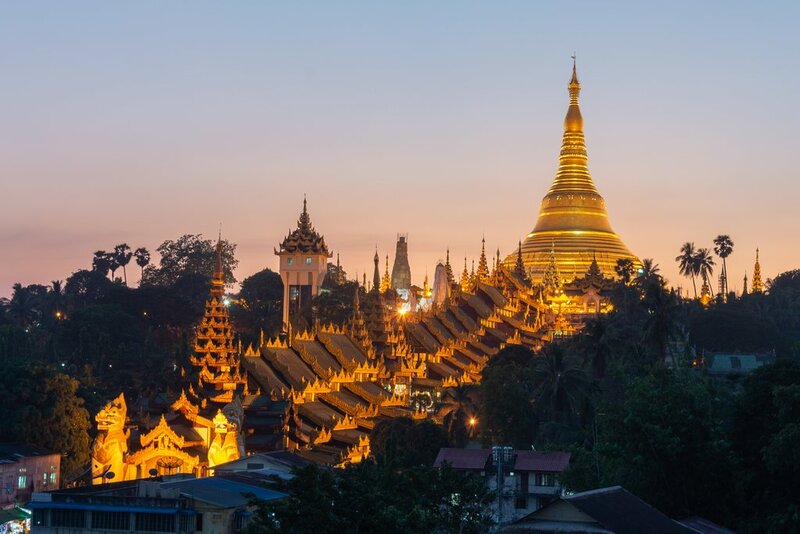 End your day with a visit to the Shwedagon Pagoda, one of Myanmar's most important religious structures and a pilgrimage destination for Buddhists worldwide. In the morning transfer to the Yangon Airport to fly to the bustling border town of Kawthaung. If there's time, head out for a short sightseeing tour. 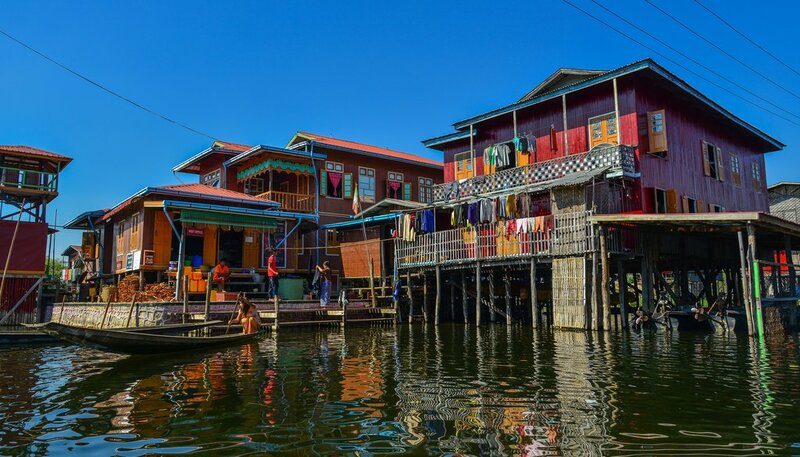 Stroll through the lively market near the jetty, visit the King Bayint Naung statue, and stop to see the Pyi Daw Aye Pagoda, with scenic views across the river to Ranong. In the morning, head to the Kawthaung Myoma Jetty for your boat trip to the beautiful islands of the Myeik Archipelago. 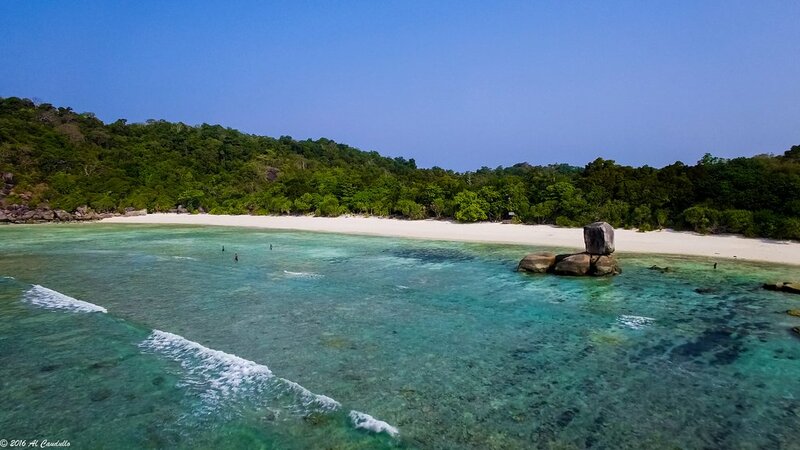 The trip takes approximately five hours, and brings you through of Myanmar's most scenic coastal areas. 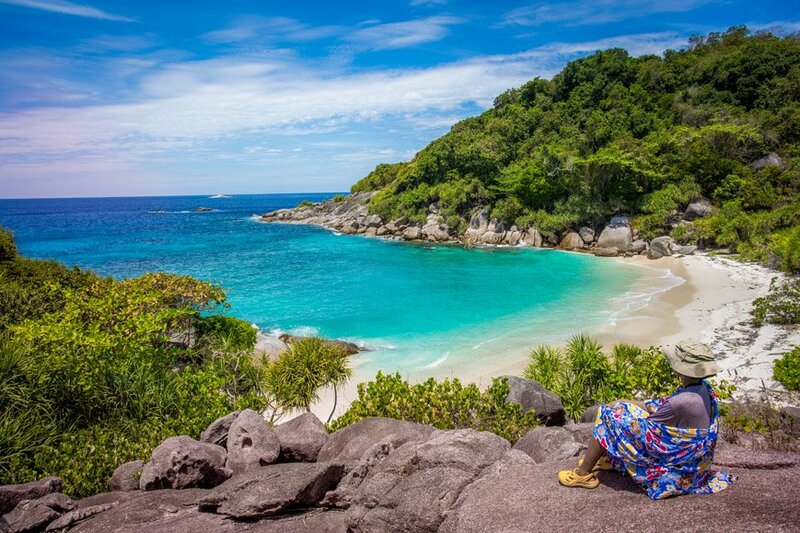 Enjoy the turquoise water and warm tropical climate, and keep your eyes open for wildlife. Spend these days relaxing and enjoying the warm water and lovely white sand beaches. 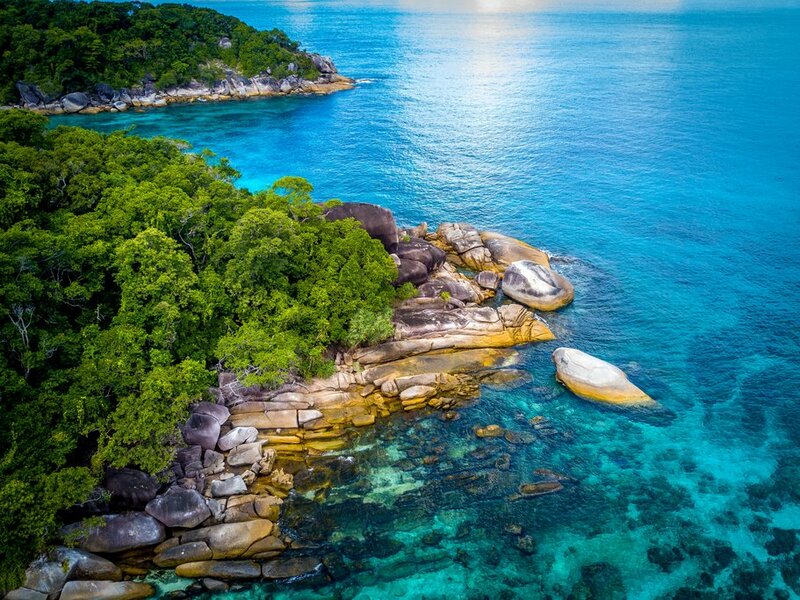 Go swimming or snorkeling, explore the tropical rainforest on a hike, or head out on the water in a kayak. 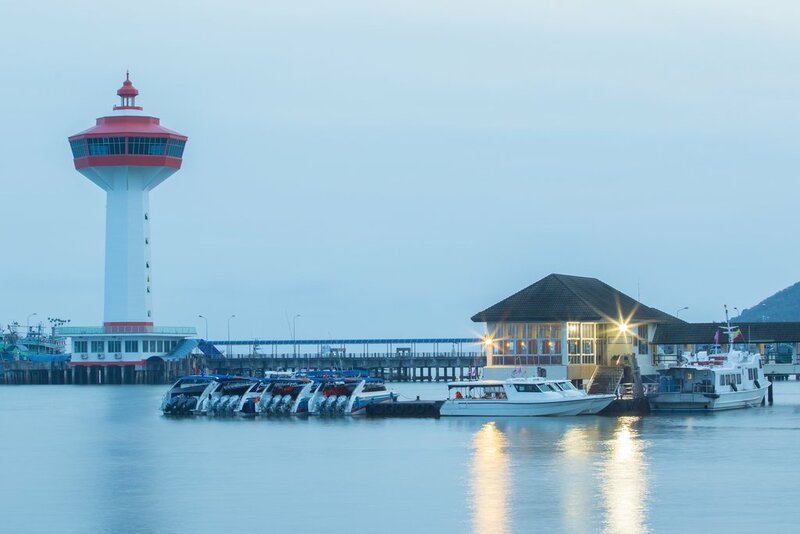 Early in the morning transfer back to the mainland by boat, then connect to the airport for your departing flight. Safe travels!